The Fourth Revolution: Energy, also known as Die 4. 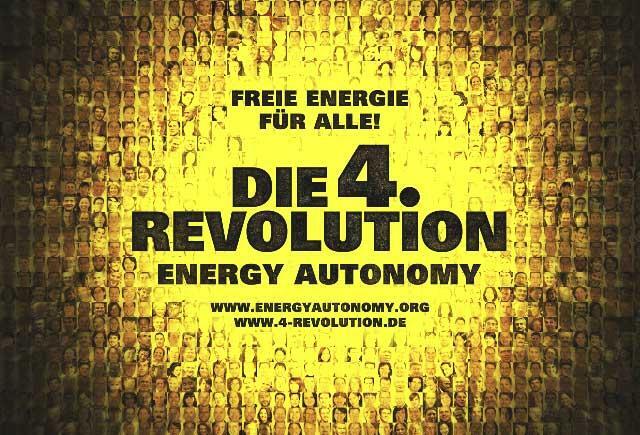 Revolution – Energy Autonomy, is a German documentary film by Carl-A. Fechner, released in 2010. It shows the vision of a global society, which lives in a world where the energy is produced 100% with renewable energies, showing a complete reconstruction of the economy, to reach this goal.